The Premier Cru Ultimate Anti-Ageing Trio from Caudalie keeps skin firm, beautifully radiant and defined. A natural, effective and luxurious serum packed with Caudalie patented ingredients, for a complete anti-ageing action: reduces wrinkles, firms, boosts radiance, nourishes and reduces dark spots. Both luxurious and rich in texture, this highly effective cream works to deliver a complete anti-ageing action. Skin is left feeling hydrated, firmer and more radiant. 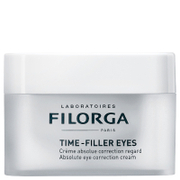 Combat dark circles, puffiness and wrinkles with this gentle and natural eye cream. 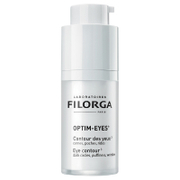 Enriched with Hyaluronic Acid and soft focus Pearlisers for an instant energising boost. Serum: Place a few drops of serum on your fingertips. Apply morning and evening to face, neck and décolleté before your moisturiser. Tap gently with your fingertips to stimulate the effectiveness of the formula. Cream: Take 1-2 pumps of the cream onto your fingertips. Apply morning and evening to face and neck, after the serum. Finish with a lateral movement under the top of the neck. 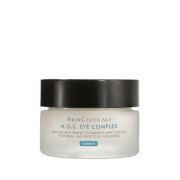 Eye Cream: Apply in the morning and evening to the eye contour, then smooth outwards. Gently massage the top of the eyelid, paying close attention to the corner of the eye. Finish by smoothing the lip contour. 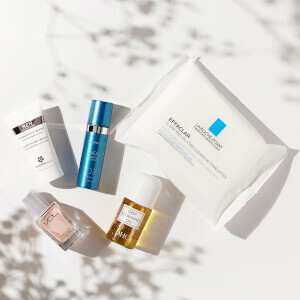 Serum: Aqua/Water/Eau, Glycerin*, Niacinamide, Methylpropanediol, Betaine*, Ribose, Hydrolyzed Hyaluronic Acid*, Paeonia Lactiflora Root Extract*, Sodium Hyaluronate, Palmitoyl Grape Seed Extract*, Palmitoyl Grapevine Shoot Extract*, Caprylyl Glycol, Carbomer, Polyacrylate Crosspolymer-6, Helianthus Annuus (Sunflower) Seed Oil*, Tocopherol*, Hydroxyethyl Acrylate/Sodium Acryloyldimethyl Taurate Copolymer, Phenylpropanol, Sodium Carboxymethyl Beta-Glucan, Sorbitan Isostearate*, Parfum (Fragrance), Sodium Phytate*, Sodium Hydroxide, Geraniol, Linalool (189/039). Cream: Aqua/Water/Eau, Butylene Glycol*, Caprylic/Capric Triglyceride*, Hydrogenated Ethylhexyl Olivate*, Cetearyl Alcohol*, Cetearyl Glucoside*, Hydrogenated Olive Oil Unsaponifiables*, Niacinamide, Sesamum Indicum (Sesame) Seed Oil*, Vitis Vinifera (Grape) Seed Oil*, Prunus Armeniaca (Apricot) Kernel Oil*, Coco-Caprylate/Caprate*, Glycerin*, Hydrolyzed Hyaluronic Acid*, Palmitoyl Grape Seed Extract*, Palmitoyl Grapevine Shoot Extract*, Hydrogenated Apricot Kernel Oil*, Helianthus Annuus (Sunflower) Seed Oil*, Palmitoyl Tripeptide-1, Palmitoyl Tetrapeptide-7*, Tocopherol*, Sodium Carboxymethyl Beta-Glucan, Adenosine, Pentaerythrityl Distearate, Potassium Cetyl Phosphate, Carbomer, Caprylyl Glycol, Sorbitan Isostearate*, Parfum (Fragrance), Ethylhexyl Palmitate, Xanthan Gum, Potassium Sorbate, Lecithin*, Tribehenin*, Sodium Hydroxide, Sodium Phytate*, Lactic Acid, Citronellol, Coumarin, Geraniol, Linalool (188/021). Eye Cream: Aqua/Water/Eau, Coco-Caprylate/Caprate*, Ethylhexyl Stearate, Silica, Glycerin*, Butylene Glycol*, Cetearyl Alcohol*, Bis-Behenyl/Isostearyl/Phytosteryl Dimer Dilinoleyl Dimer Dilinoleate, Hydrogenated Avocado Oil*, Ci 77891 (Titanium Dioxide), Mica, Hydrogenated Olive Oil Stearyl Esters*, Caffeine*, Hydrolyzed Hyaluronic Acid*, Vitis Vinifera (Grape) Seed Oil*, Palmitoyl Grape Seed Extract*, Palmitoyl Grapevine Shoot Extract*, Sodium Carboxymethyl Beta-Glucan, Helianthus Annuus (Sunflower) Seed Oil*, Acetyl Tetrapeptide-5, Palmitoyl Tetrapeptide-7*, Citric Acid*, Cetearyl Glucoside*, Potassium Cetyl Phosphate, Tocopherol*, Tocopheryl Acetate*, Polymethyl Methacrylate, Ethylhexylglycerin, Carbomer, Caprylyl Glycol, Sodium Benzoate, Arginine, Xanthan Gum, Lactic Acid, Sodium Phytate*, Titanium Dioxide, Tin Oxide, Ci 77491 (Iron Oxides) (187/034).